casual designer tops and buy one today! 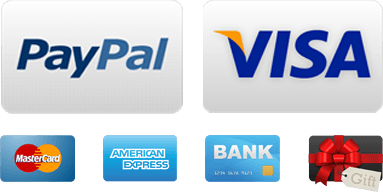 Casual Tops Choose from 24 garments. top quality and latest style. See and feel the difference! Very stylish casual white blazer from Tommy Hilfiger. It has a snap closure and material is 100% cotton. This is an absolute bargain. Don't miss out! 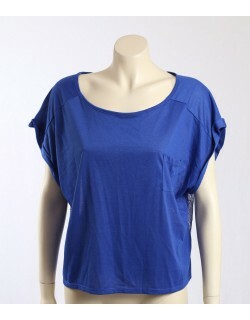 DKNY Jeans green jersey asymmetric top. 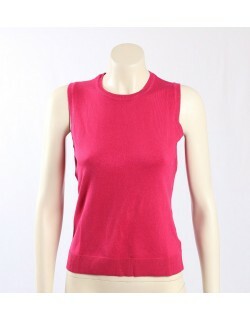 Very soft round neck vest in a dark pink knit. The vest would lool great over a shirt or long sleeve top. Blue Crop T-shirt with lace back. 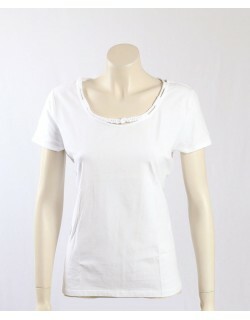 This t-shirt has a full lace back and cap sleeves. Karen Kane Black Short Sleeves Pullover Top. 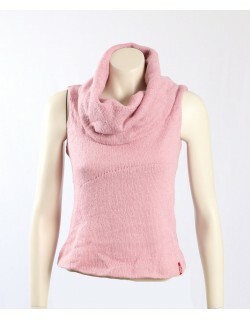 It has an elegant Cowl Neck and is Stretch. Aztec Yellow Hi-Low Hem Pullover Top. The top is slightly sheer and has a velvet pattern throughout. 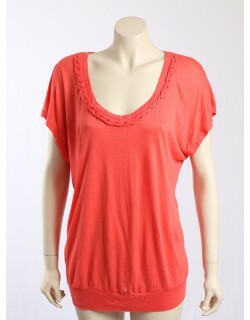 American Rag Orange Casual Top with Rope Trim. 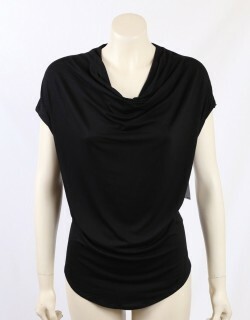 Karen Kane Black Short Sleeves Pullover Top. 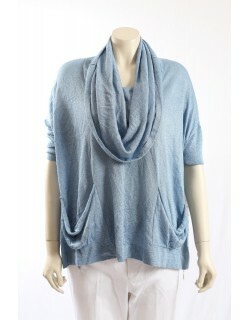 It has an elegant Cowl Neck and is in a soft Stretch material. White Tank Top in size XL. 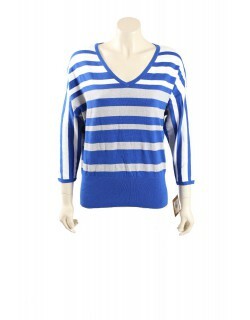 A high quality Stretch Jersey by Michael Kors. Miss Sixty open roll neck sleeves top in a mohair mix. The top is fully lined and is in a dusky pink.